Use the Email Opt Out checkbox. Change an individual contact or lead's subscriber status. Turn on the setting to change a subscriber’s status to deleted when a contact or lead is deleted. Create a subscriber rule with the action set to Delete instead of Add. Use the process builder to unsubscribe a contact or lead when a certain condition is met. On the import wizard choose to remove records. Both "deleted" and "unsubscribed" will prevent any further emails from being sent to the contact. In Salesforce, navigate to a contact or lead record. On the Subscriber List Memberships related list, click next to the list name you want to change the status in. Change the drop-down menu to either Deleted or Unsubscribed. 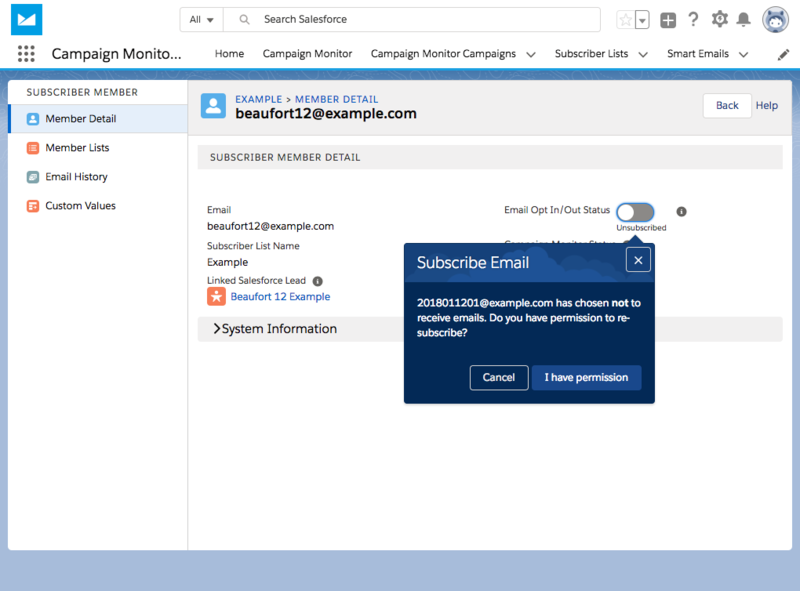 You can optionally click the Unsubscribe All button to remove them from all Campaign Monitor subscriber lists. Select Options from the vertical menu. 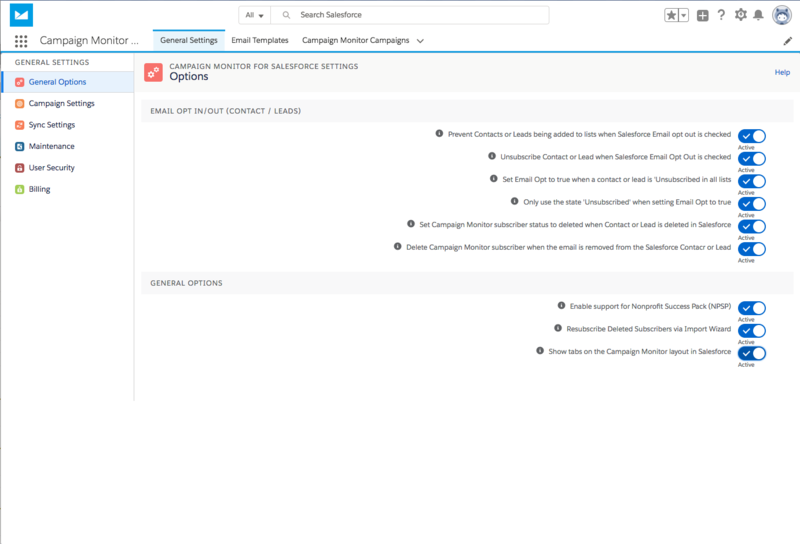 Change "When I delete a contact or lead I want to update any linked records in Campaign Monitor to show a deleted status", to active.